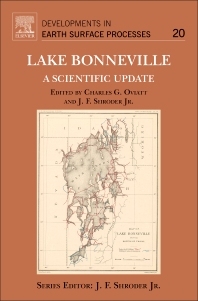 Lake Bonneville: A Scientific Update showcases new information and interpretations about this important lake in the North American Great Basin, presenting a relatively complete summary of the evolving scientific ideas about the Pleistocene lake. A comprehensive book on Lake Bonneville has not been published since the masterpiece of G.K. Gilbert in 1890. Because of Gilbert’s work, Lake Bonneville has been the starting point for many studies of Quaternary paleolakes in many places throughout the world. Numerous journal articles, and a few books on specialized topics related to Lake Bonneville, have been published since the late 1800s, but here the editors compile the important data and perspectives of the early 21st century into a book that will be an essential reference for future generations. Scientific research on Lake Bonneville is vibrant today and will continue into the future. "The overall presentation and quality of the finished product are worth commending. It is hardbound with a wonderful cover image of Gilbert’s (1890) original map of Lake Bonneville that depicts his routes of travel, a useful reminder of the field-based data collection necessary to initiate and sustain such research. The volume contains excellent figure reproduction, including many detailed maps that reflect a commitment to effective cartographic design. It also includes comprehensive tables that compile a remarkable quantity of previously published and novel empirical data. Chapters are organized in an intuitive and creative manner, using a combination of chronological and disciplinary approaches. This volume represents a timely review and updating of evolving ideas about the Quaternary Period in the Bonneville Basin. Students of Lake Bonneville can conveniently access a comprehensive range of topics and contemporary thinking without locating a hundreds of published papers. The bibliographies alone are marvelous resources.